Do not let your succulent plants, cacti, or houseplants with tender foliage in your outdoor container gardens and pots stay out in the cold damp weather too long. It has been my experience if you let that soil stay cold, and it remains wet – and then you move them inside, two things typically happen. The tender soft foliage of these types of plants start to rot at the base, or sometimes the damp wet soil invites little critters to take residence in the pot. As for the Canna, Elephant Ears, and Banana plants – they can handle this weather a while longer into early October before the first frost of Autumn hits. 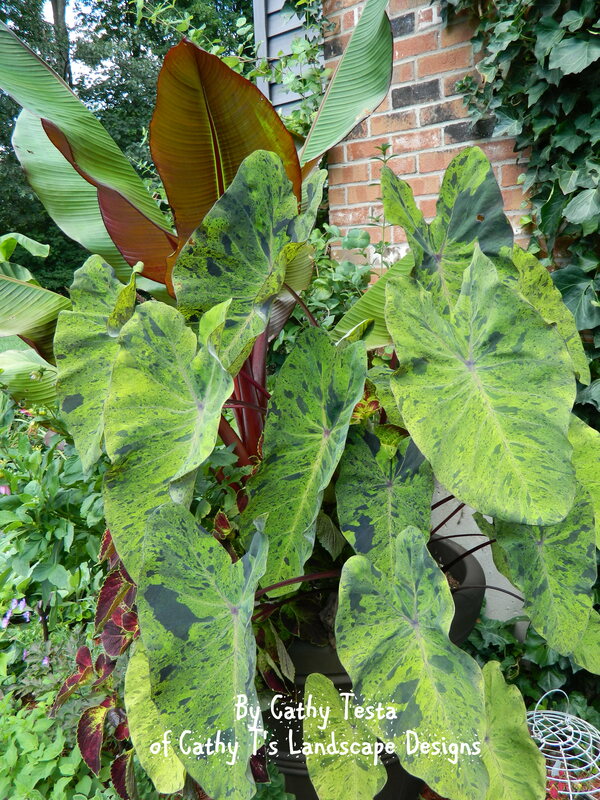 If you wish to keep the Canna, Elephant Ears, or Banana plants in their pots inside the home – my advice is reduce the watering now – it will dry out the soil a bit, makes the pot lighter to move, and kind of the same theory as above, the soil won’t be damp when it is moved inside – reducing your risk if critters moving into damp soil. Pick a sunny window in the house from that point forward. 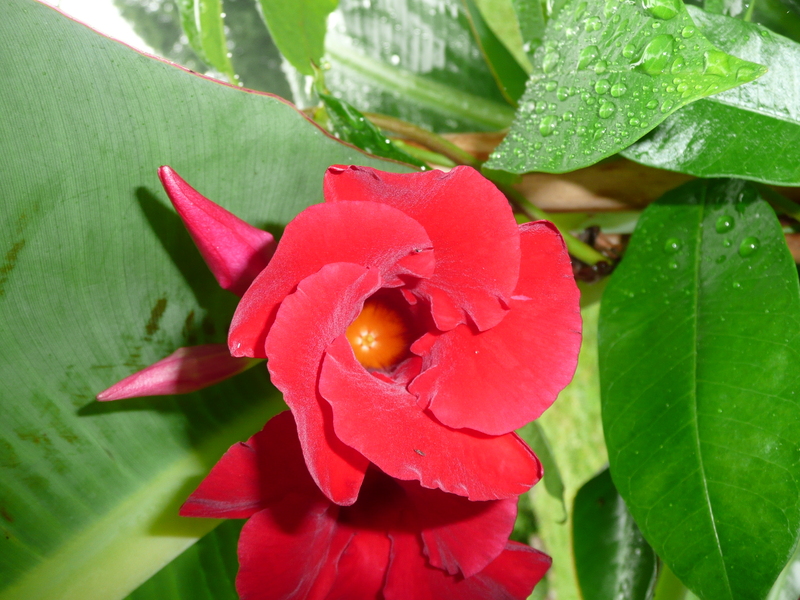 If you wish to store the Canna, Elephant Ear, or Banana plants base or storage organ, such as the rhizomes under the soil for the Canna, you may allow it to get hit by the fall frost – The foliage will turn black and soft – and you can cut that all off and then work to remove the rhizome or corm for the Canna and Elephant ear respectively. For the Banana Plant, refer to my blog where I posted all the steps. There is also choice #3 – if you want to keep the Canna, Elephant Ear, or Banana plants in their pots and you have a basement to move them into – this is also a technique for overwintering them. Again, pick a spot, don’t water it much now, and let it look tattered over the winter but just hanging in there. For basement option, must do before frost as well – which probably will happen in mid-October. Another plant sold at the Big Container Garden Party was the Brugmansia (Angel Trumpets). These should not be hit by frost. I recommend you move them in to the home if you wish as a houseplant before frost hits, or into your basement to go dormant. In the basement, most of the leaves will fall off, it will look tattered over the winter, but will bounce back (usually!). Also, Brugmansia (Angel Trumpets) may be pruned back hard if you wish – pruning off all the stems and part of the stalk, but then you would not have the tall height next season if you wish to keep it tall. 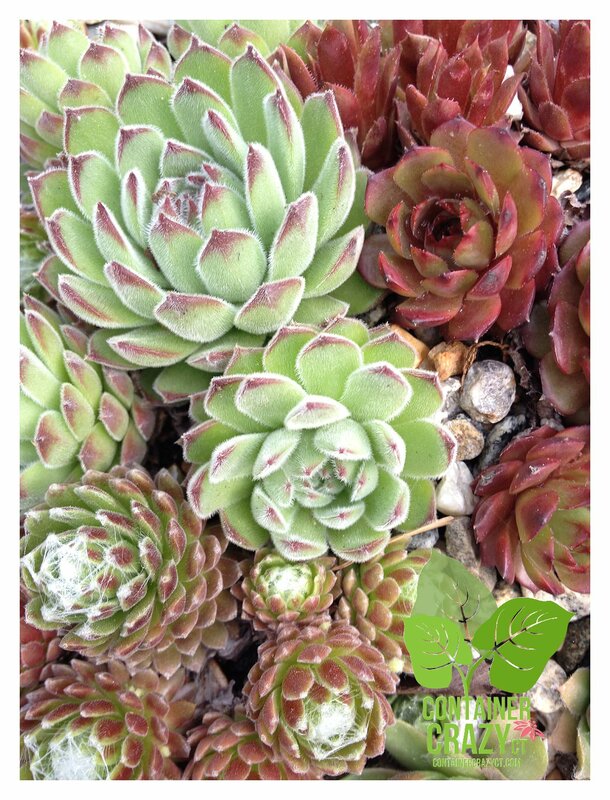 Also, a reminder about another “do not do’s” with the succulents, cacti, and alpine like plants – do not put them in dark rooms, or between curtains in the house. Do not let them sit in water catch trays. Do not put them in a very shady spot in the home, or by really cold pockets. They need a bright sunny window, and reduce watering them regularly. South or West facing windows are typically best. Refer to your handout on more details about how to water them in the winter months. Hypertufas! Did you buy one in May? Well, the good news is they can remain outdoors – the material of the pot is pretty tough – but I say move it to a protected outdoor location, the hens and chicks in the pot will come back next season. You may want to put it under your porch steps, or if you have a woodstove, heck, put it by the foundation wall near that area outdoors. Or bring it in and place in a sunny window to treat as a houseplant, reduce the watering, etc. The plants will look like they are not alive at some point, but they hang in there – believe me – they bounce back. Mandevilla – These too can be stored over the winter in somewhat of a tattered state, cut the vines back, and put them in the basement, they will loose leaves over the winter, but will hang in there. More information can be provided if you have any further questions. This tropical like vine will be showy for a while more too – but don’t let it get hit by frost. Perennials – Some of the plants were perennial and you may remove them from your container gardens and transplant them into the gardens of the ground, or often they return in the pots if you move them to a protected location over the winter (i.e., garage), especially if you used a big pot with lots of soil mass as your container garden when you put these together in May. Thank you, and for those registered for the Octobert Hypertufa Class – I’ll see you soon! P.S. The “Evergreens Kissing Ball & Holiday Creations” class date has been noted above and on the side bar of this blog. It is Saturday, December 6th, 2014.